One of the most important services offered by the Cloud Computing technology is the cloud hosting. It allows an unlimited number of machines to act in unison as compared to other hosting solutions, which depends on one machine only. Due to this feature, security of cloud hosting services is enhanced many folds. Resources like memory, are also easily integrated to enable the growth. Free Cloud Hosting – Some Benefits! This type of hosting is usually preferred in the enterprise environment. Contrary to the shared hosting and dedicated hosting, cloud hosting sites operate through interconnected web servers contrary to cloud hosting sites that basically operate across various web servers that are interconnected to each other. 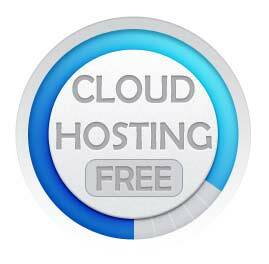 Free Cloud Hosting – The List! These types of applications require more processor, memory and other resources. Often an application may require more time to complete. In such cases cloud hosting offers a much more economical solution. A forum with say 100,000 users and around 100 or more user on-line concurrently can be managed by a cloud server efficiently. But Amazon Web Services is offering this hosting, storage and bandwidth for a year only. What will happen after one year? Well! After one year, if the application use exceeds the free usage tiers, the customer has to pay standard, pay-as-you-go charges. The reason for this offer is their confidence in the product and service. If the customer is not satisfied he/she can cancel the service on 29th day and will not be charged. But are these services really free from the customer’s point of view? For one thing, it is to be remembered that there no such thing as a free lunch. Indeed some individuals and non-profit companies do offer free cloud hosting facilities, but they have limited resources, minimal impact in the market and a very basic cloud infrastructure. Then there are companies who offer cloud hosting services including web hosting. They also claim to offer their services for free giving an impression that the complete package is free. In reality, the free portion is only part of the deal or some basic service package which in not sufficient to manage the requirements of an organization. Sometimes, the registration is free, while in some cases the services are free for a limited period of time, and in some cases usage of resources up to certain thresh hold value is free. Beyond that, one has to pay on pay-as-you-use basis. It can be safely stated that one should read all the terms and conditions to determine what part of package/service is actually free. If at all it is really free.